Tullow Church,Brighton Road, Foxrock, Dublin 18. ‘A riotious re-creation of Beckett’s memories of his native village of Foxrock’. 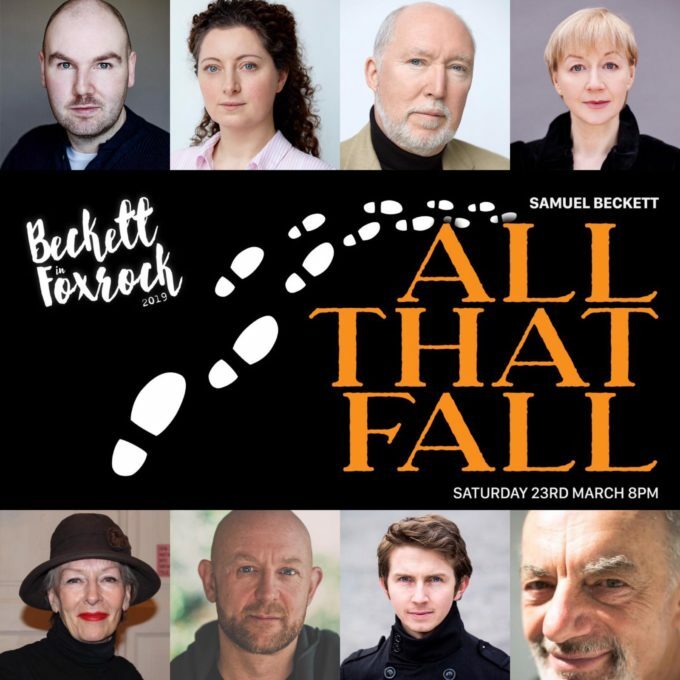 All that Fall, originally written as a radio play, will be performed in the church attended by Samuel Beckett, in the village in which it is set. A very unique occasion to mark the 50th anniversary of the awarding to Beckett of the Nobel Prize for Literature and the 30th anniversary of his death. Featuring Geraldine Plunkett, Donncha Crowley and a cast of six. Performance is followed by a wine reception and photo exhibition of Beckett’s close connection with Foxrock. This is the fourth year of Beckett in Foxrock which celebrates the Nobel Laureate’s strong connection with the place where he was born and which influenced his work so much. Tickets €30 incl wine reception.